No carrier in the world would include drivers leaving their utility vehicles to ride public transportation. 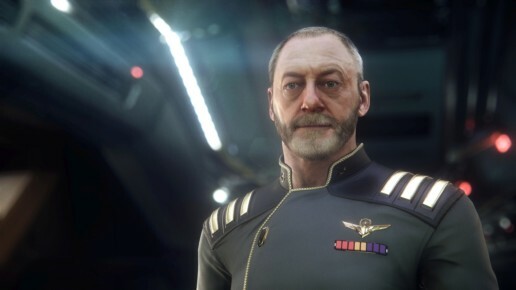 A look at Squadron 42’s impressive all-star cast. Learn about the luxurious Origin 600i explorer and touring ships. 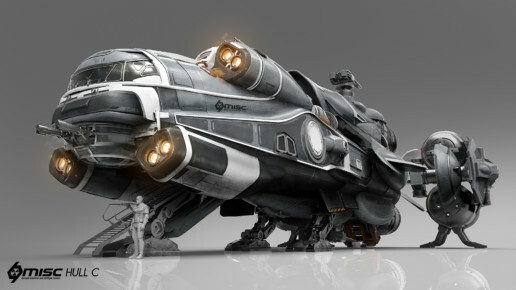 A look at the Anvil Terrapin. 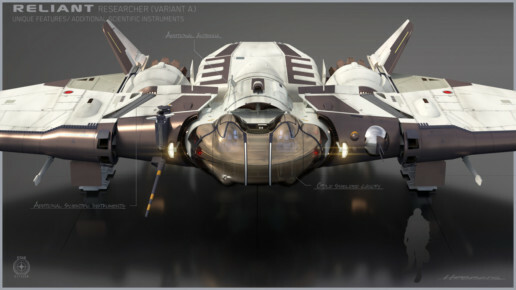 A two person ship for search and rescue, as well as recon. The first iteration of the mining profession arrives in Alpha 3.2. MISC Prospector, an introductory ship for the mining profession. Discussion and impressions of the first iteration of trading in Alpha 3.0. What type of content and services can we expect to see at the modular Truck Stops scheduled to be introduced in Alpha Patch 3.1? 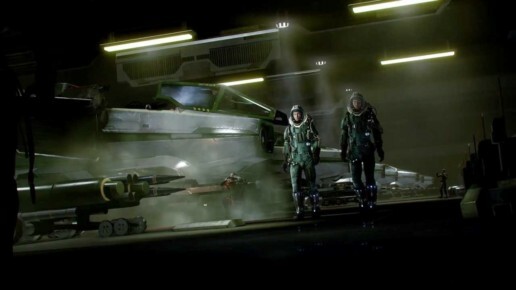 Who is Chris Roberts and what is Squadron 42? The Drake Herald, one of only three small career ships in my line-up. The fact that I can own platform ships, ships for medium sized groups AND engage in solo or duo activities, is a huge part of what excites me about Star Citizen. Content available for play-testing in the Alpha 2.1 patch. A look at the luxurious 890 Jump, the touring ship most coveted by those with discerning tastes. Welcome to another episode of Casual Citizen. An ongoing series about the upcoming first person MMO, Star Citizen, by Cloud Imperium Games. I’m your host Alysianah from the mystic worlds gaming blog. This week we have another episode designed to kick-start your preparation for Alpha 3.0. This week’s episode is going to review all flight ready cargo ships. 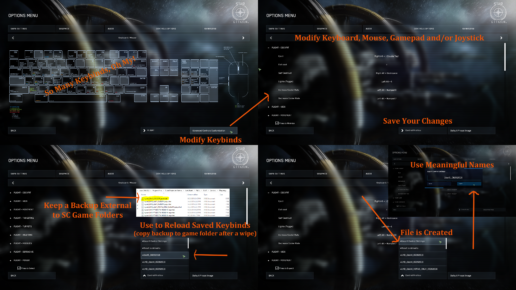 To say that Star Citizen has a lot of keybindings is in understatement. On top of which, the default settings might not feel intuitive for your personal tastes. Good news is that we can customize the settings to our liking for the keyboard, mouse, gamepad and joystick. 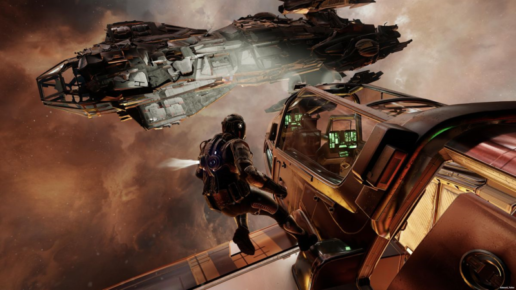 Oftentimes, the time-to-kill in ship combat can feel fast in Star Citizen. I’m not worried. I’ve experienced faster and slower. Plus we know that combat mechanics are still evolving, with adjustments coming down the pike. However, there’s something that we should all be doing now, that I rarely see pilots doing when watching their videos. It’s relatively easy and can mean the difference in surviving an encounter. I’m talking about shield management. 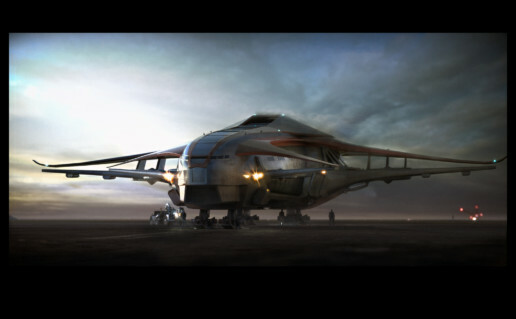 Star Citizen is many things, some of which are different to different people. 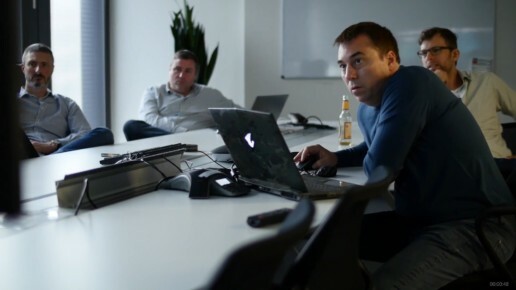 The game itself is the brainchild of veteran game developer Chris Roberts, who is most widely known for his Wing Commander game series and the movie. Under the banner of Cloud Imperium Games, he’s now developing his dream space sim and first person universe, Star Citizen. 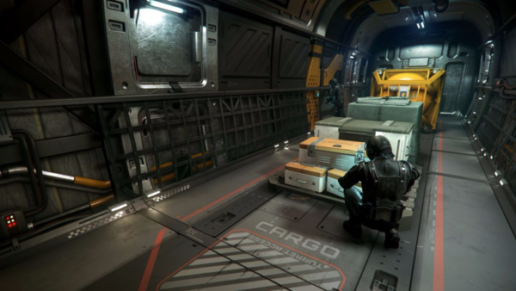 The development costs are being covered using a crowdfunding model and to date, Star Citizen has raised a record breaking 115 million dollars and counting. What is so compelling about the planned content for Star Citizen that people are willing to crowdfund it to such an unprecedented amount? RSI Constellation series of ships that support cargo hauling, touring, exploration and combat. 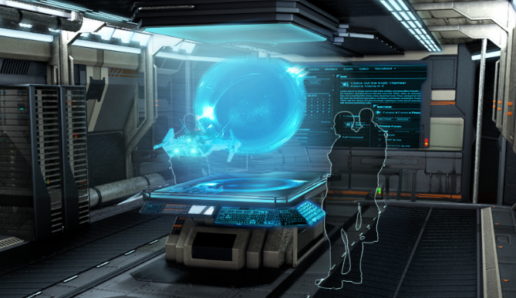 Many of us will undoubtedly explore the star systems that comprise the Star Citizen universe. Participating in player missions and pursuing careers will necessitate some travel. 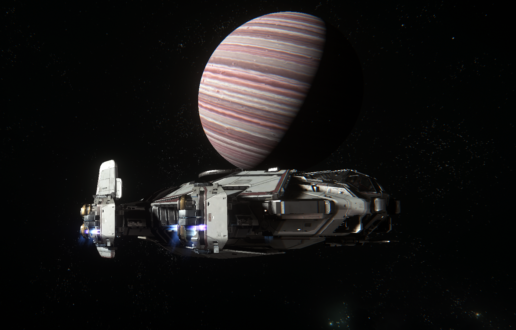 I can’t imagine anyone playing Star Citizen without some intention to explore. As this will be one of the professions many new players gravitate toward, here’s a quick overview of the mining profession. It was one of the first career design documents published and is supposedly representative of their philosophy for all careers. Which is that career associated tasks contain activities that require skill, dexterity and intelligence, where mindless repetition or idle monitoring are explicitly avoided. 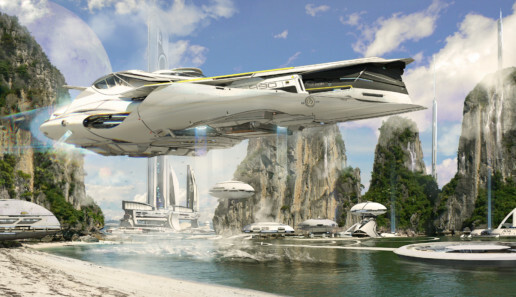 The Genesis starliner is a mid-range luxury civilian transport ship. The interior’s configurable seating design supports economy, business class and luxury seating components. Including the more spacious seating will resutl in less seating overall but introduces higher fare seating and amenities. The MISC Hull series of ships is how cargo gets from place to place. 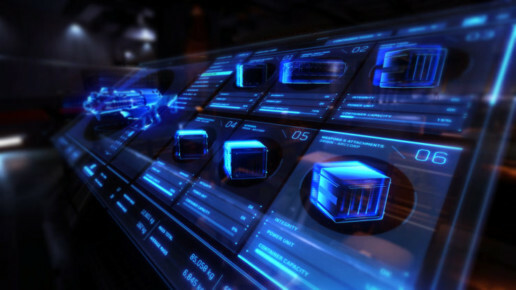 An inter-connected system of ships, designed around the same principles and intended to share the same equipment and maintenance processes. MISC has created the Hull A through E, to provide countless options for every type of merchant. From the single-person Hull A to the super-massive Hull E bulk freighter, there’s a Hull for every job. Each ship includes a manned cab, drive unit and telescoping cargo spindle. When laden, the spindle expands to accept cargo pallets; while unloaded, the spindle retracts for faster, more maneuverable travel. The Starfarer is a niche spacecraft which has become the defacto standard for fuel transport. Its design is the result of an 18-month survey that yielded a 15,000 page study on ship roles and the deficiencies faced by pilots. 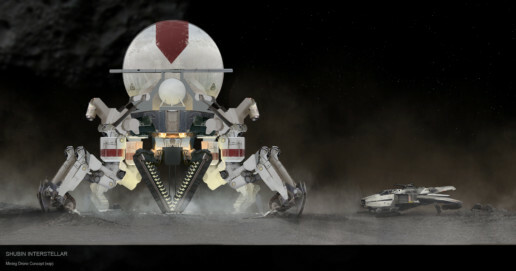 That insight influenced the core design philosophy for the Starfarer. And led to it being fitted as a dual-role fueling craft, capable of collecting fuel in space and refueling ships in-flight. 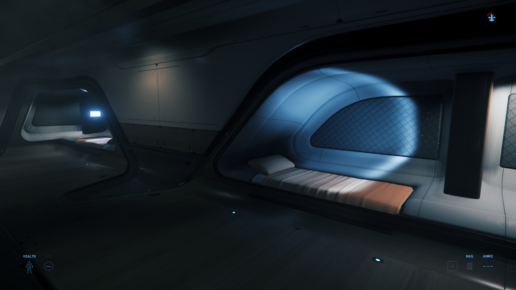 The Banu Merchantman isn’t just a ship, it’s a home and a way of life. 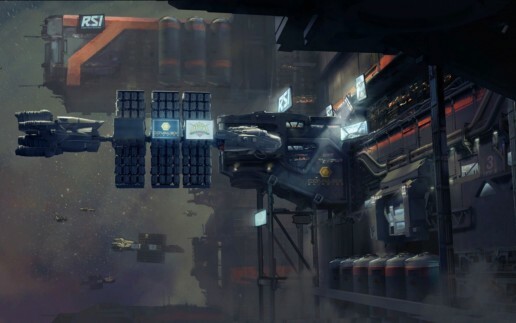 We know that a lot of backers want to become traders and merchants in Star Citizen’s persistent universe, and we’ve created a ship that’s more than just a sterile bulk freighter for you. The Merchantman is a traveling bazar, capable of landing or docking and then inviting locals in to view what it’s cargo holds have to offer. The Reliant series of ships are categorized as starter vessels. They are imbued with MICS’ flare for designing stylish industrial ships and make use of the Xi’an technology acquired through their lend-lease agreement. What makes the Reliant series appealing, is that they’re affordable ships with specialized functionality – features beyond pew-pew combat. And it also features a unique cockpit design that supports vertical and horizontal flight modes. What’s All This Voice Attack Stuff? 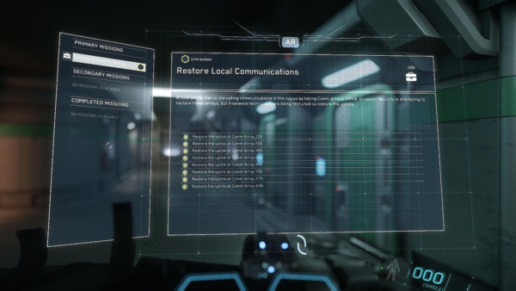 With the interest in Voice Packs seemingly on the rise, while Cloud Imperium Games is continuing to refine Star Citizen’s control schemes, I thought it would be a good time to discuss Voice Attack in general and why some players have elected to use it. Star Citizen Alpha 2.4’s Item Port System simplifies customizing your ship’s configuration, making it very intuitive to experiment with varying ship loadouts. As mentioned in a previous article, one of the first things I did was change the weapons on my Sabre. That said, how did I decide on the type of weapons I wanted to use? To begin, you need to understand the difference between ballistic and laser weapons. Beyond moderate injury or to be returned to a normal 100% health state, a player must undergo more intense treatments, such as those provided by Medbays and Medstations. This is where Search and Rescue (SAR) comes into play. Given that Star Citizen has a permadeath mechanic, I expect SAR services to be in high demand.